Model Lesson (Telugu) by one of Teacher in the Complex in the presence of students. Review on Library Books and finding the ethical values to teach the students by all teachers. Model Lesson (Maths) by one of Teacher in the Complex in the presence of students. The meeting will start with Prayer and Yoga for 30 minutes. Book Review and discussion on that book and motivate others to read books and suggest books to children and teachers to read. Time for this is 60 minutes. DSE/SSA initiatives and any problems faced locally in implementing them for 30 minutes. Closing session with review of the day’s proceedings 30 minutes and making minutes and approved. 30 minutes. Agenda should be sent in advance and should be strictly followed. 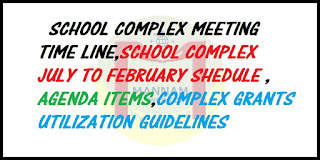 Complex meetings should be held in different school premises, as it will be difficult to carry the TLM materials. It also helps to see the upkeep of the premises. If possible meet the students of that school and assess their learning methods. All the required support and stationery to be supplied by SSA/DSE. New and innovative methods of teaching and learning methods to be given preference and presented. Digital class rooms to be used, wherever available and it will be training to the other teachers, who are not familiar with DCR. The best ideas should be compiled, teachers contribution to be recorded and should be sent to DSE/ SSA for testing and implementation in other school complexes. Seminars and Lectures to be arranged with experts, eminent people and local community elders. ANNEXURE -4Financial guidelines for utilization of School Complex grantsGrant for the year 2017-18 for 10 days are to be utilized under the Following heads and activities. v Teacher Reference Books as per the list communicated by SPO. v Purchase of Educational CDs. v Providing Tea & Refreshments to the participants. v Requirement School Complex meetings. v Conveyance for school visit to the School Complex HM @ Rs.500/- per month – Rs.5000/- per annum (Minimum under schools once in a month) subject to furnishing of school visit report to DPO/DEO. v Other items any as per requirement from the savings of the above items. v Reviews with Head Master of Primary and Upper Primary Schools. 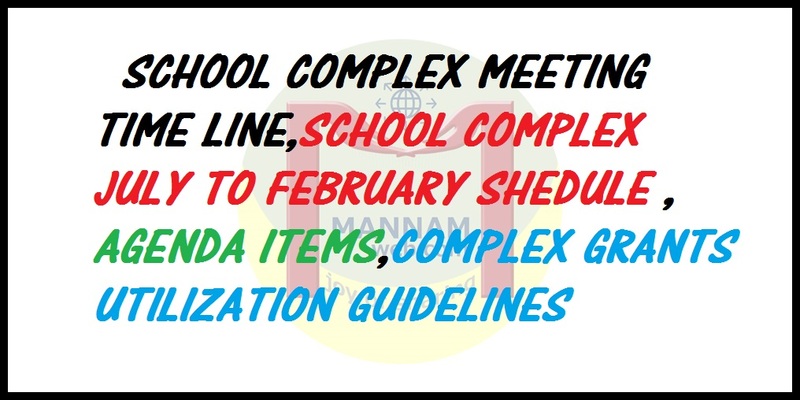 v Procurement of material for preparation of TLM in the School Complex Meetings. v Other contingencies if any to meet from the savings of the above items. v Requirement in School complex meetings.